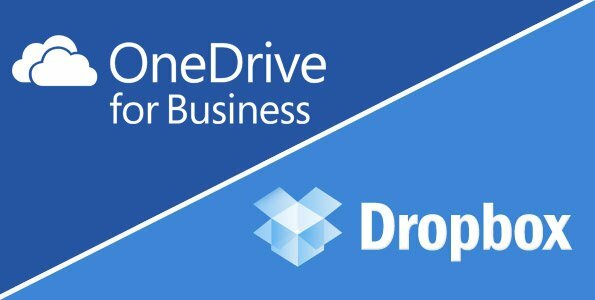 OneDrive for Business vs Dropbox - Which is the best option? Recently, trying to clear the confusion between OneDrive and OneDrive for Business, I wrote an article that explains in detail exactly what is OneDrive for Business. Through all the great feedback, I received another wave of questions. What’s the difference between SharePoint 2013 OneDrive for Business and Dropbox? Why should I pick one over the other? So I've decided to write this article and to review the pros and cons of each solution. While OneDrive for Business gives you all the advantages of SharePoint for document management, Dropbox is pretty useful but offers a much smaller set of features. And then, there’s the pricing… the choice for me is definitively OneDrive for Business, here's why. I think the feature set of Dropbox is already well understood by many without needing me to go over the details. Essentially, it allows you to drop your files on their service and access them whenever you want. It requires you to have something installed to “Sync” the files from their service, back to any device or computer where you logged in. Much like OneDrive for Business there are multiple plans for Dropbox. In this article, I will focus on the Business plan they offer to compare apples with apples. I can’t hide the fact that I love SharePoint. But it’s not a blind love; SharePoint 2013 actually does offer a lot of features that helps us in many different scenarios. OneDrive for Business is technically the synchronization of a SharePoint Document Library. And we should never forget that when comparing it to Dropbox. Social Interactions; Liking, Replying, Following – some of the social features introduced in SharePoint 2013 to interact with documents. There are too many features to be listed but this gives us a good general idea. And where are these Document Libraries stored? SharePoint Sites. This means you can leverage all of a SharePoint Sites’ features to enhance the experience of your desired OneDrive for Business usage. For example you can actually brand your site so that users visiting are noticing your brand and/or news announcements for example. This alone is what makes me lean towards OneDrive for Business rather than Dropbox. Because OneDrive for Business isn’t only a similar document sharing service, it’s an entire SharePoint that comes part of the package. This brings me to our next point, the pricing, and mind you I am no licensing expert but I have compared with information that is available. We now understand roughly what Dropbox offers as well as OneDrive for Business, so let’s look at the pricing. 10$ per month for 1TB (1000GB) of storage per account. Notice it isn’t written per user but per account. So for 200 users with versioning would be roughly about $32,000 for the year. Obviously for that number of users you should be looking at the Business plan but I want to keep 200 users in all comparisons. For 200 users we are at exactly $30,000 per year with “as much storage as you need”. Versioning and recovery is included at this price and we also have enhanced security that we have not covered in our comparison yet. Though SharePoint Online is not part of Office 365 and really a standalone program, it does include a very good deal on “OneDrive for Business” if you think about it. It’s $3 per user per month and not only do you get OneDrive for Business which has all the document management features we mentioned earlier like versioning but you get SharePoint with it. Team Sites for collaboration, Search, Workflows and don’t forget this is all web, you can brand your environment. For 200 users we are looking at $7,200. You could also bump the SharePoint Features up and go with the 7$ per user Plan 2. This is a No-Brainer; Office 365 gives you “Exchange” for your emails, “Lync” for instant communication, which now includes talking to Skype members, as well as hosting web meetings. Most plans include a license of Microsoft Office for each users with “Word, Excel, PowerPoint, Outlook, OneNote, Access, InfoPath, Publisher and Lync client” that he/she can install on up to 5 of their devices. Of course it also includes SharePoint, which is where your OneDrive for Business feature is. There are various plans from $5 per user per months to $20 per user per month for the Enterprise E3 plan. Don’t forget that we are no longer talking about just a place to store documents without metadata and workflows like on Dropbox but a full package of features with emails, meetings, web conferencing and SharePoint. If I want to get this for 200 users, I have to start with a Midsize Business Plan or with an Enterprise E1 plan which are respectively $15 and $8 per user per month which would come up to roughly $36,000 or $19,200. When we explained what was OneDrive for Business in the previous article, we realized that it works with every single SharePoint Document Libraries. And a huge benefit of this is that I can have OneDrive for Business without having to put my content in the “Cloud”. There are different versions of SharePoint and I will not attempt at putting a price for 200 users but in this scenario you control the data 100%. It’s on your servers; you can manage Quotas and define accepted file extensions yourself, very easily. This is aside from all the amazing features you get from SharePoint of course. **NOTE on Storage: Wait a minute; I never talked about the storage limits on any of the OneDrive for Business plans. Well it’s because there is and there isn’t one at the same time. Let me explain. OneDrive for Business, on one of the cloud-based solutions like Office 365, comes with a personal 25GB of storage per user. That doesn’t seem like a lot and that’s why I didn’t mention it earlier. Remember that OneDrive for Business isn’t just that personal document library in your SharePoint My Sites. It’s available with every single Document Library in your SharePoint Team Sites and other Sites for you to Sync with. So it’s never just 25GB of storage really. **UPDATE** Office365 has updated the OneDrive for Business Storage to 1TB (1000GB) for every business users. See the official announcement. Then on the On-Premises SharePoint you simply have no limit, as an administrator you can set quotas but it is your content to manage. 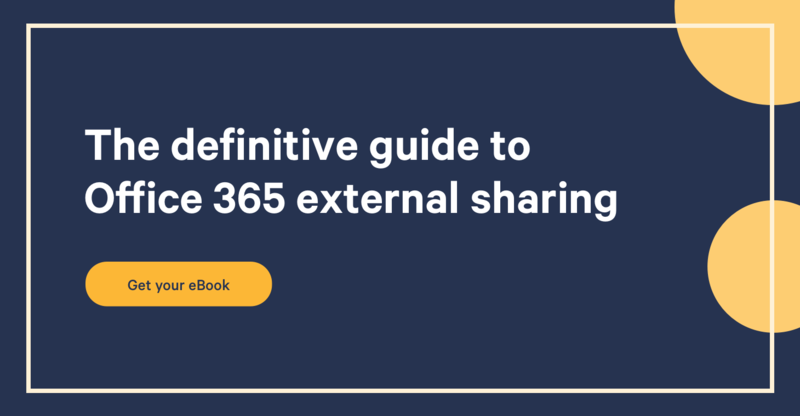 Both Dropbox and Microsoft’s cloud solutions with SharePoint Online or Office 365 offer robust security, there is no denying that. As far as basic security on documents go, they both offer a relatively similar experience. Sharing files and folders with individual users or groups. Dropbox offers some unique features around that like managing devices and web sessions. For example you can go as far as disconnecting someone connected on an iPad. They also offer a two-step verification, which is always better. Other than that it is similar with HTTPS (or SSL) connection to encrypt communications. Not to mention that with OneDrive for Business with SharePoint installed on your servers means it is protected by what you put in place on your servers. And if you want to push it, SharePoint can work together with RMS (Rights Management Service), a Microsoft Product that adds a layer of security for your files. For example you can prevent a certain group of people from “Printing” a set of documents when Sharing them. I am not sure that security alone will be a decisive factor apart from the fact that with OneDrive for Business you have the choice to use it On-Premises and not only in the Cloud. Though this article shows favoritism towards OneDrive for Business, there are certain features in which Dropbox is still better at. With the regular OneDrive, I do not have this difficulty; it is very similar to Dropbox. Generate a hyperlink that gives Read Access or another link for someone with a specific email address. SkyDrive Pro (the predecessor of OneDrive for Business) is a little different because it isn’t a separate service, it’s still SharePoint. If you are on Office 365 or SharePoint Online you might find it reasonable. You can enable anonymous access to documents by generating a hyperlink but only in Read of course. If you want to share documents with people outside of the organization, they will require an Office 365 ID or a Microsoft ID (Hotmail, Live ID, Outlook.com, etc.) to access and edit. It is still very similar to that of Dropbox at this point. **Update** OneDrive for Business has updated it's features and is becoming more and more competitive against Dropbox. You can now just as easily generate links for Edit or View and send it to an email. Sharing files with OneDrive for Business is quickly becoming a finished solution. However, when using the On-Premises version of SharePoint it becomes difficult. By default, SharePoint does not allow anyone other than your companies network or “Active Directory” to connect to SharePoint. This makes it difficult for your customers or partners to access your documents with their Microsoft accounts for example. You will have to set up your SharePoint with a federated authentication and let’s just say it’s not an Out of the Box option you can just enable. But once done then you are good to go. Again this has nothing to do with “OneDrive for Business” as it is just a synchronization service. 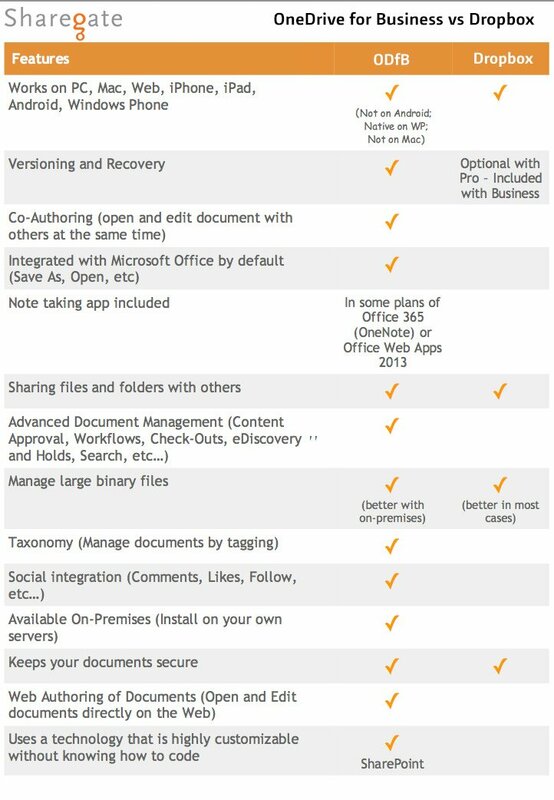 A comparison of OneDrive for Business vs Dropbox is essentially a comparison of SharePoint 2013 Document Libraries vs Dropbox. OneDrive for Business isn’t a service you buy, it is a program installed as part of Office 2013 or standalone from the Microsoft Site. It allows a user to “Sync” with any Document Library in his SharePoint environment. If you are on SharePoint 2007 or SharePoint 2010, OneDrive for Business is definitely a nice upgrade from Groove or SharePoint Workspace and a lot close to the demand we have today. Why is OneDrive for Business the best option? Dropbox definitely has a head start as it is already known and adopted by many. However, as far as features go I think OneDrive for Business is better simply because it is SharePoint. I recommend you read What is OneDrive for Business before to understand it a bit better. The real advantages are in all the extra features around Document Management you receive from SharePoint. It’s native on the Windows Phone and available on all devices as an app to keep up with the demand of “Mobile” today. With Office 365 you get Exchange, Lync, SharePoint and in many plans the Office Suite for your users. To me, it feels like OneDrive for Business has met Dropbox’s list of features and brought it to another level by putting it on SharePoint. This article doesn’t focus on certain technical details and I invite you to do a proper research before choosing what to use in your company. But from now on, instead of comparing OneDrive for Business with Dropbox, perhaps start comparing SharePoint Plans with Dropbox.